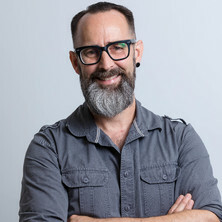 Mark joined the School of Psychology in 2002 as a UQ Postdoctoral Research Fellow after completing his PhD at La Trobe University. His research interests lie in a range of inter-related aspects of socio-cognitive development in young human children and non-human primates. His current research is primarily focused on charting the origins and development of human cultural cognition. He became Deputy Head of School (Teaching and Learning) in 2015. Mark has forged an international reputation for cutting-edge research on multiple aspects of developmental social cognition. Based on the quality of his research, he was presented with an Early Career Researcher Award from the International Society on Infant Studies (2006), a Research Excellence Award from the (then) Faculty of Social and Behavioural Sciences (2009), and in 2016 was made a Fellow of the Association for Psychological Science. He has published over 60 papers, had his research feature in over 50 conference presentations and over 10 invited conference and colloquia talks that in 2015 include the Cultural Diversity in Social Learning Pre-Conference of the CDS Biennial Meeting, USA and TEDxUQ, Brisbane. Nielsen, Mark and Susianto, Erna W. E. (2010). Failure to find over-imitation in captive orangutans (Pongo pygmaeus): Implications for our understanding of cross-generation information transfer. In Johan Håkansson (Ed. ), Developmental Psychology (pp. 153-167) New York. NY, U.S.A.: Nova Science Publishers. Randell, A. C. and Nielsen, M. G. (2006). Children's communication of pretend acts using social cues. In M.A. Vanchevsky (Ed. ), Frontiers in Cognitive Psychology (pp. 127-144) New York: Nova Science Publishers, Inc..
Nielsen, M G, Suddendorf, T and Dissanayake, C (2006). Imitation and self-recogntion in autism: In search of an explanation. In S.J. Rogers and J.H.G. Williams (Ed. ), Imitation and the Social Mind: Autism and Typical Development (pp. 138-197) New York: The Guilford Press. Nielsen, Mark and Whiten, Andrew (2017) Early stone tools and cultural transmission resetting the null hypothesis: comment. Current Anthropology, 58 5: 659-660. Imitation, pretend play, and childhood: Essential elements in the evolution of human culture? Imitation in young children: When who gets copied is more important than what gets copied. Nielsen, Mark (2009) The imitative behaviour of children and chimpanzees: A window on the transmission of cultural traditions. Revue de primatologie, 1 2-13. Do chimpanzees (Pan troglodytes) understand single invisible displacement? Nielsen, M. G. and Dissanayake, C A (2003) A longitudinal study of immediate, deferred, and synchronic imitation through the second year. A I S B J, 1 4: 305-318. Owada, Kei, Nielsen, Mark, Lau, Colleen, Clements, Archie, Yakob, Laith and Magalhaes, Ricardo J. Soares (2017). MEASURING THE EFFECT OF SOIL-TRANSMITTED HELMINTH (STH) INFECTIONS ON COGNITIVE FUNCTION IN CHILDREN: SYSTEMATIC REVIEW AND CRITICAL APPRAISAL OF EVIDENCE. In: 65th Annual Meeting of the American-Society-of-Tropical-Medicine-and-Hygiene (ASTMH), Atlanta Ga, (335-335). Nov 13-16, 2016. Do chimpanzees (Pan troglodytes) understand invisible displacement? Collier-Baker, E, Davis, JM, Suddendorf, T and Nielsen, M (2004). Do chimpanzees (Pan troglodytes) understand invisible displacement?. In: Folia Primatologica. , , (249-249). .
Nielsen, M. G. and Dissanayake, C A (2003). Synchronic imitation as pre-linguistic social interaction. In: K. Dautenhahn and C. Nehaniv, Proceedings of the AISB '03 Second International Symposium on Imitation in Animals and Artifacts. AISB '03 Cognition in Machines & Animals, Aberystwyth / The University of Wales, (131-137). April 7-11, 2003. Nielsen, M. G. and Dissanayake, C.A. (2002). Deferred imitation and the onset of pretend play in the second year. In: Perspectives on Imitation: From Cognitive Neuroscience to Social Science, Paris, France, (). May 2002. Nielsen, Mark G. (2002). A longitudinal investigation of imitation, pretend play and mirror self-recognition in human infants PhD Thesis, School of Psychological Science, Latrobe University.